Saw these for the first time this yr. Have lived here 6+ yrs. 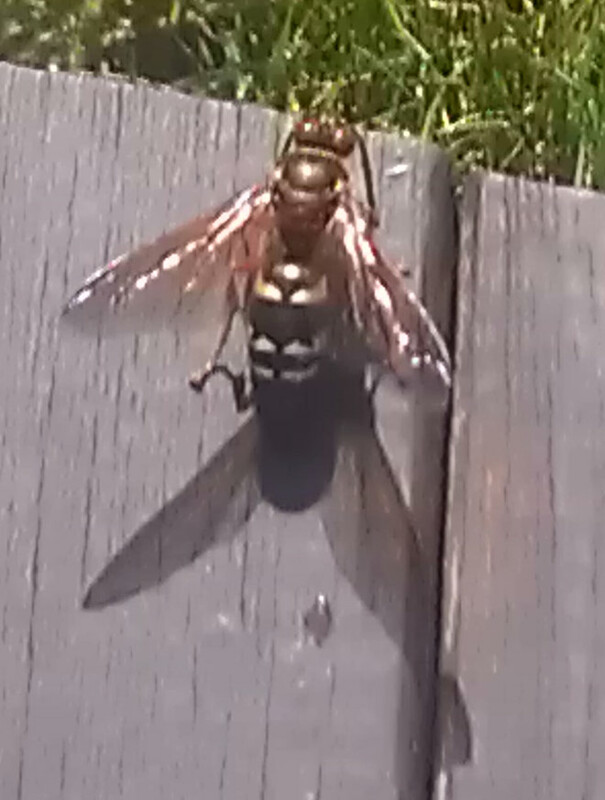 This looks like a male Eastern Cicada Killer. Typically they will alight on a surface and stake out little territories that they will defend from other males in the hopes that a female cicada killer will wonder by. 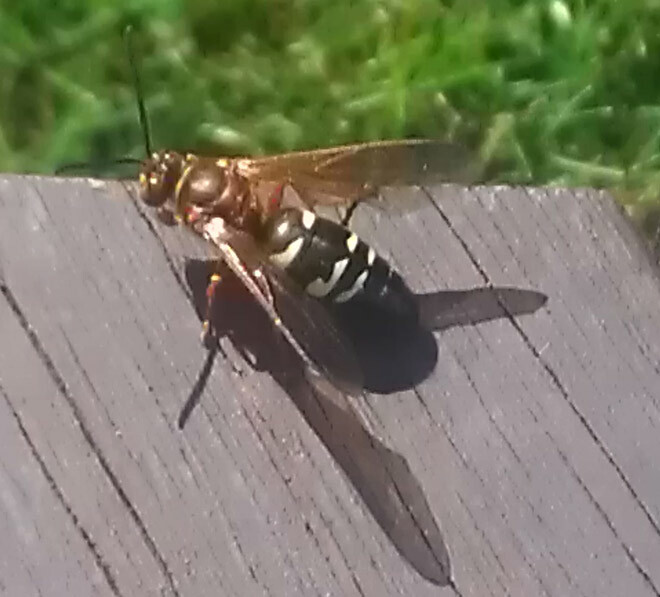 I wouldn't be surprised if you have more cicada killer wasps around.